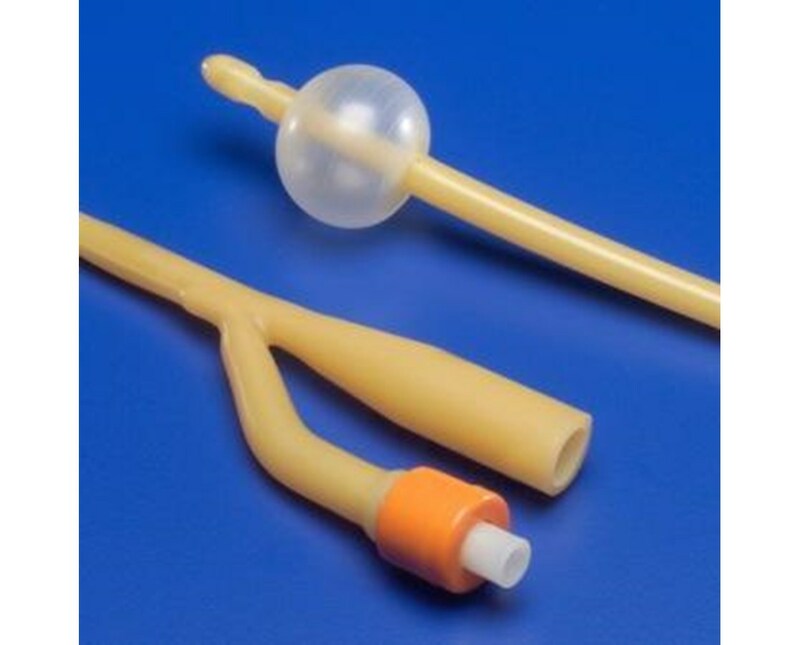 The 3-Way Ultramer Foley Catheter features a hydrophilic coating that provides superior lubricity and increased biocompatibility. The catheter maintains lubricity by absorbing the mucosal fluid, providing easy insertion and removal with enhanced patient protection. The drain eyes are large and smooth to maximize drainage. A ribbed balloon increases strength and symmetry. The Eltramer Foley catheter features a bespak spring-loaded valve. Purchase the 3-way catheter right here online, select a size from the drop down above and press add to cart! 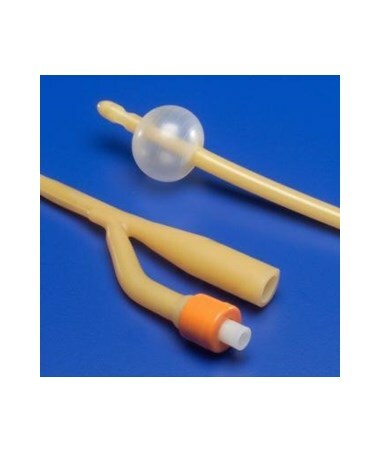 Dover Hydrogel Coated Latex Foley Catheter, 5 cc, 3-Way, 16.5"